While discussing René Brouwer’s The Stoic Sage: The Early Stoics on Wisdom, Sagehood and Socrates (Cambridge Press), we have encountered the two Stoic definitions of wisdom: (i) “knowledge of human and divine matters,” and (ii) “fitting expertise.” In chapter 2, Brouwer turns to the issue of what happens when someone transitions into sagehood. 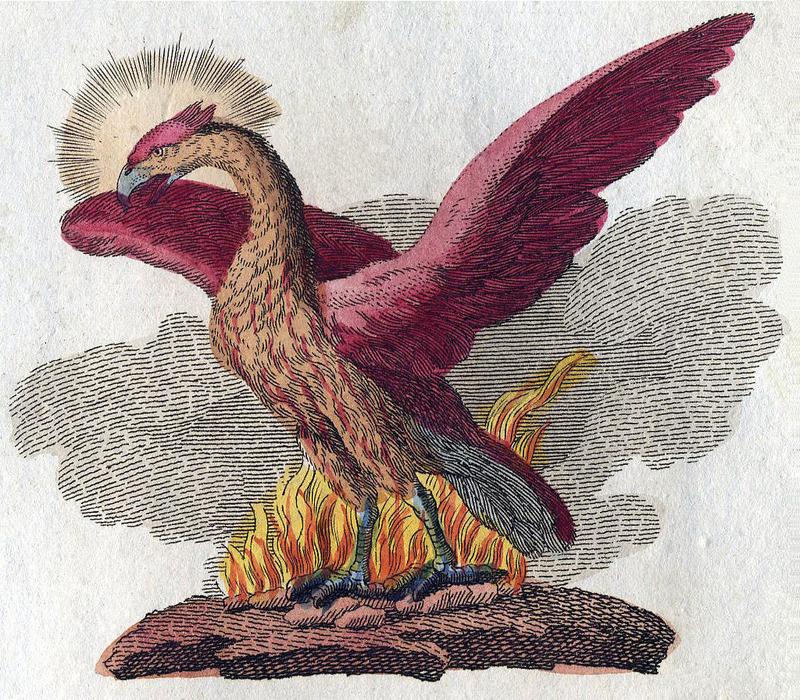 A note of caution: according to Seneca, this event (if it occurs at all) is as rare as the mythical bird, the phoenix, i.e., it takes place every half millennium or so. The chances you’ll personally achieve sagehood, therefore, ain’t that high. Still, I think that if one is interested in Stoic philosophy this is a topic worth briefly discussing. “The sage changes in a moment or a second of time from the lowest possible inferiority to an unsurpassable character of virtue; and all his vice, of which he has not over a long time succeeded in removing even a small part, he instantaneously flees forever.” (Stoicorum Veterum Fragmenta, 3.539). If taken seriously, this makes the transition to sagehood sound very much like revelation for a Christian (say, on the way to Damascus), or enlightenment for a Buddhist, with the difference that the source of the Christian transformation is external, while for both Stoics and Buddhists it is internal. It is also irreversible, as I think it is in Buddhism, but not necessarily in Christianity (where one can lose one’s way; perhaps precisely because the transformation was triggered from the outside in the first place?). Much of Brouwer’s discussion here is based on the Synopsis of “The Stoics talk More Paradoxically than the Poets,” again by Plutarch. According to Plutarch’s Synopsis, then, two things immediately characterize the transition to sagehood: its speed, and the fact that it is a change between opposite states (vice and virtue). The Synopsis also states that the Sage may be ugly rather than beautiful, and a beggar rather than a rich king. So don’t expect wisdom to correspond to external attributes, such as beauty and wealth or power. Moreover, the Sage does not hold “opinions,” meaning changeable convictions about whatever matters he contemplates. That is because he has reached the pinnacle of human epistemic power: he does not have superhuman knowledge, but does have the best knowledge any human being can possibly achieve. His cognition, so to speak, is stable. Needless to say, from a contemporary standpoint this is simply nonsense, and it should be abandoned by modern Stoics. There is no human ideal of knowledge because knowledge is always context-dependent, and moreover it encompasses far too much for a single human mind to actually hold and comprehend. On these bases alone we may conclude that Sagehood — if so defined — is not just rare, it is unachievable. This may struck the modern reader as just bizarre, until we remember that the Stoics did not literally believe in the Olympian gods, as for them god was the same as nature itself. And human beings participate in the Logos, so they are, in a sense, divine. Brouwer again: “Chrysippus explains in allegorical fashion that not only the Olympian gods such as Zeus, Ares and Hephaistos are to be ‘assimilated’ to, respectively, reason that rules over everything, war or the principle of order and disorder, and fire, but also that the sun and moon are gods. What we thus seem to have is an interpretation of the gods of traditional religion in terms of natural phenomena and an interpretation of natural phenomena in terms of the divine.” Ancient Stoicism, in other words, was pantheistic. Well yes, technically, but really, the only charitable interpretation we can give of this, and the only reason we may entertain retaining this notion in modern Stoicism, is as a call for humility, along the Christian lines of “we are all sinners.” If taken literally, the analogy has very little force. This sounds to me rather odd, but I do wonder whether a Buddhist practitioner knows he has achieved enlightenment at the very moment he has, or whether a Christian mystic is aware of a state of divine bliss as it begins. Perhaps, again, the difference lies in whether the transition is triggered externally or the result of an internal change? The Stoics tried to explain this by way, as usual, of an analogy. Let’s say you have been practicing for a long time a particular craft, for instance playing the flute. It is possible that you achieve “perfection” (whatever that means) at that craft without — again, initially — realizing it. Does it matter? No, because the earliest known characterization of wisdom, Brouwer tells us, goes back to Homer, and it implies that it is the mastery that counts, not the awareness of it. This entry was posted in Ancient Stoicism, Logic and tagged On the Nature of the Sage on August 28, 2017 by Massimo. Socrates using the Delphic saying “know thyself” and saying the “the unexamined life is not worth living” would seem to require the perfection of self knowledge which would include the Sage! I think Socrates as an exemplar of Stoicism is not disputed.